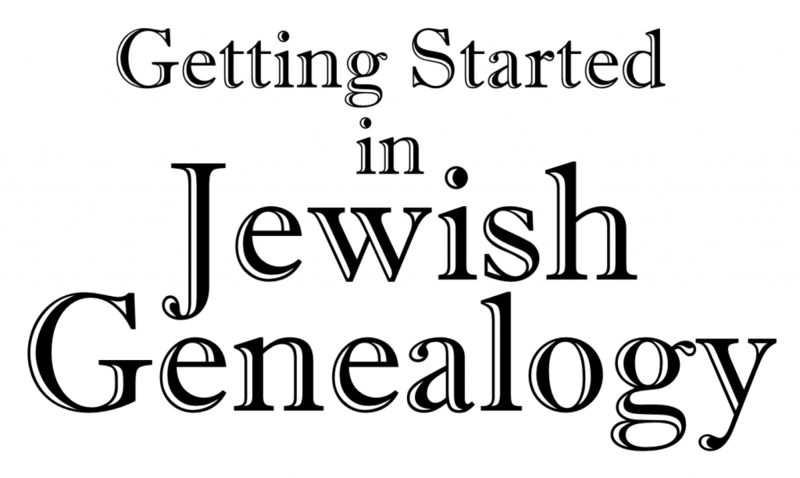 I’m happy to announce a new set of resources in the B&F Compendium of Jewish Genealogy. I recently came across a set of files from the JDC Archives that is organized by town, and has all of the records scanned and online. These are referred to as the Warsaw Office, 1939-1941 Localities collection. 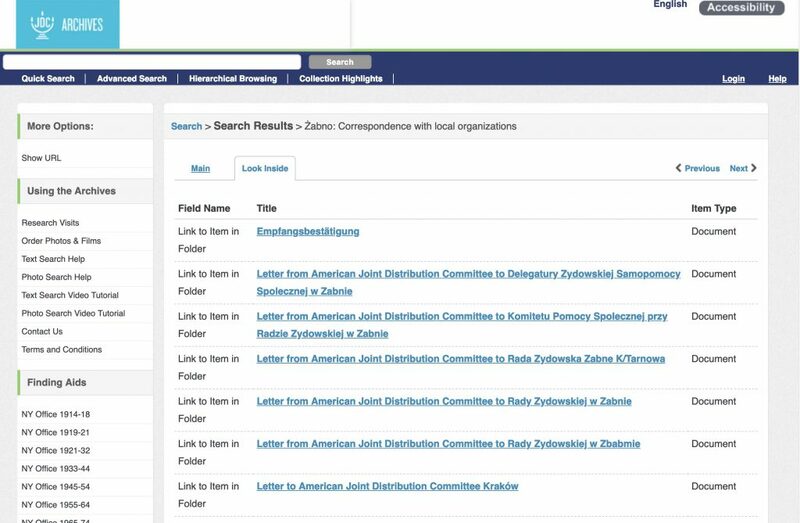 The documents in these files are for the most part correspondence between the Warsaw office of the American Joint Distribution Office and representatives of Jewish groups in over 500 different towns in Poland during the years 1939-1941. Frequently the group in the town was the German-organized Judenrat, although not always. Sometimes the organizations are local support organizations, and sometimes the letters are to individuals. Some of these files consist of a single letter. 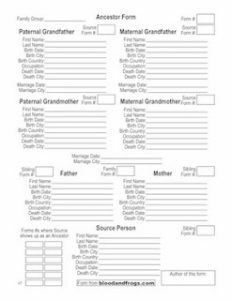 Others have over 100 documents. 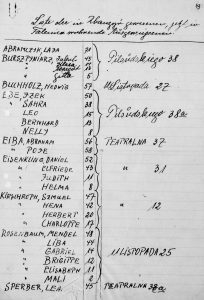 While the letters can open up an important view into the lives of Polish Jews during the first years of the Holocaust, before the deportations to concentration camps, the more exciting feature of this collection are the lists. Many of the towns have lists of people. 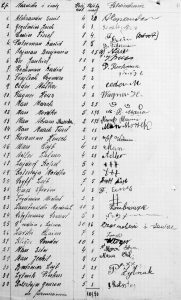 These lists can be lists of all the Jews in the town, refugees from other towns, those who received financial assistance, and even those who received flour, matza and even herring. 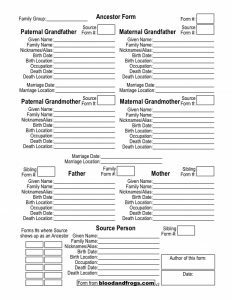 Considering the dearth of information on the lives of Jews during this period, I think these lists are incredibly important. I did find some minor issues with the list of files which I tried to correct if I could. I’m also sending an e-mail to the JDC to mention them so they can be fixed. A few items on the list had incorrect links. 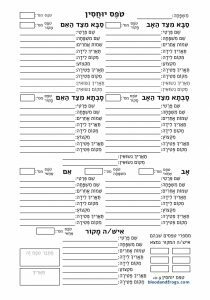 Many of the items list the file language as English, even though essentially none of the files have any English in them. I think this must have been some default setting. 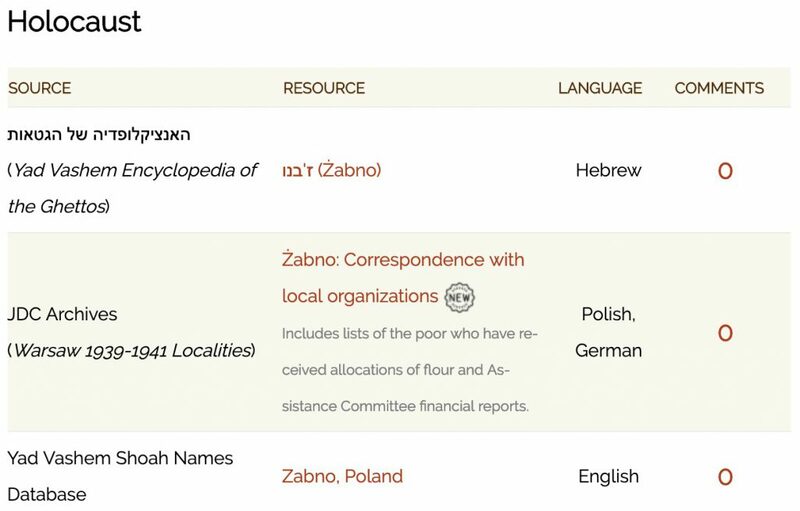 Almost every file has documents in Polish, many have in German, and some are in Yiddish. A few files are just in German, but not too many. 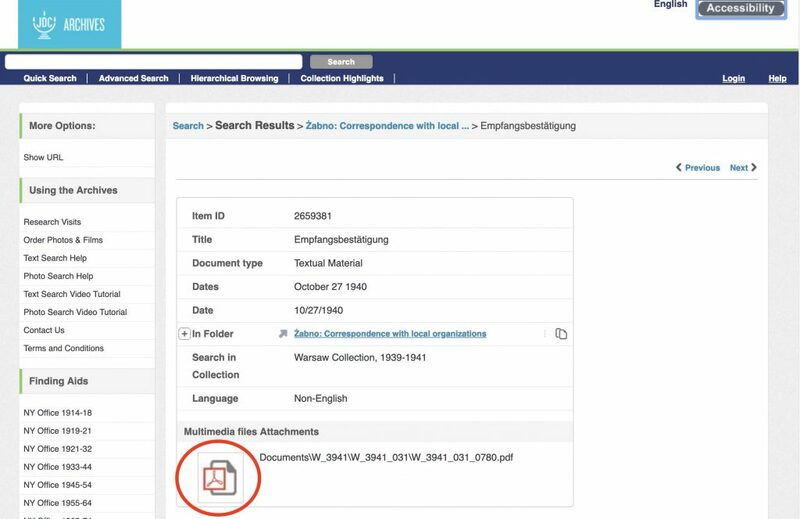 Click on the Look Inside link (in the red circle) to go to the list of files in this collection. A file summary page. To see the actual scanned file, click on the PDF logo at the bottom of the page (circled in red). When you click on the PDF logo, the PDF file of the scanned pages will load in your browser. You can then save that PDF to your computer if you want. In adding links to these files in the Compendium, I’ve also added 39 new towns. When I started adding Polish towns, I thought my list was fairly complete. As I continued to find new towns that had Jewish communities and add them, I realized I would probably never be 100% complete. That said, however, the list of Polish towns on this site is now over 1400 towns. Each town has links to information that will confirm there was a Jewish community of some kind there. In some cases the community had 50,000 Jews, and in some cases it may have had less than 50. 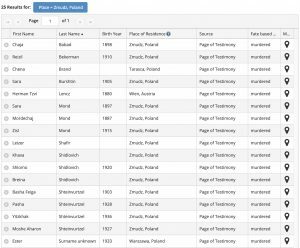 I’m not setting a lower bar on the number of Jews that lived in a community, as my goal is that anyone searching for information on their families in Poland will find their ancestral towns. 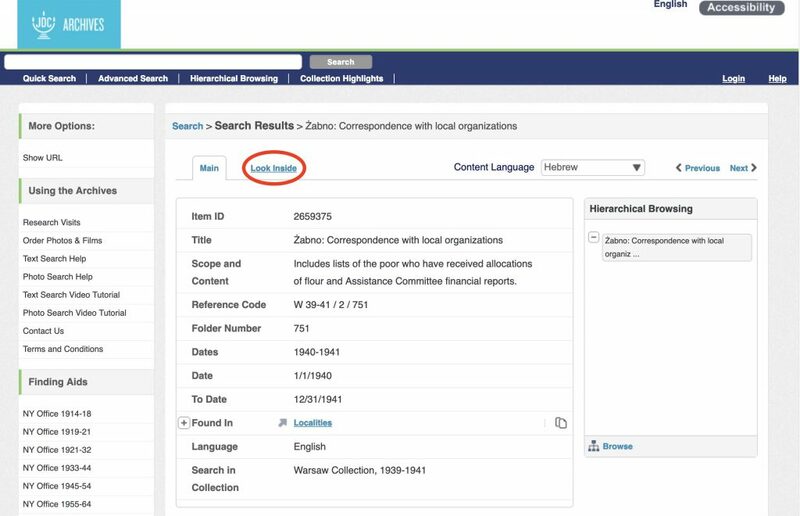 In order to confirm that there was a community in a town, I’ve searched for any other evidence I could find, including seeing if there are Pages of Testimony filed in Yad Vashem that show people having been born in the town. 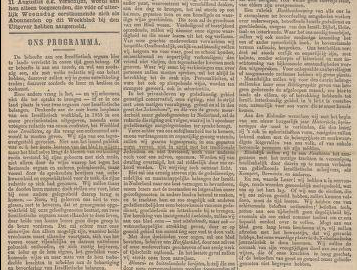 Sometimes it was enough to find an article mentioning the Jewish community there. I’ve tried my best to verify each town in the Compendium. Occasionally, it’s not 100% possible to know that the town being mentioned in the JDC files is the town I believe it to be. 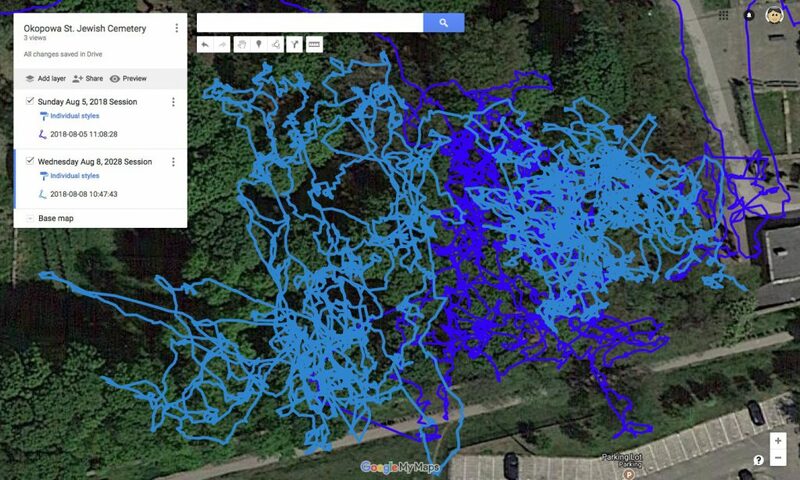 There are no GPS coordinates in the files. Having worked on these towns for several years now I have a fairly good sense of when a town is correct. If I’m really not sure, I generally leave out the town. As such there are several towns in with files in the JDC archives that I did not yet add. Also, as an aside, some of the towns with files are currently in Ukraine, and thus out of the scope of the Compendium town-level data. To see all the towns, see the original finding aid from the JDC Archives site. Let me know what you find in the files. Post a comment below, or on the page of the file in the Compendium.